I have built a scenario where I use Opalis, Virtual Machine Manager, Operations Manager and Service Manager to control number of web servers in a web farm. The web farm is behind a NLB cluster. The scenario was to only have enough with IIS running, no extra IIS machines that is not doing anything. If one IIS can handle the current load, there should only be one IIS online. We use Service Manager to track what is happening. Opalis executes and Service Manager remembers. As soons as Opalis is done, it will drop everything, it only keeps it in memory during execution (and maybe some logs). Working with Service Manager will give us a great way to track everything. Operations Manager are monitoring my IIS machines, if IIS01 is running low on resources an alert will be raised. If any other IIS in the web farm is idle another alert will be raised. When an alert about high load on IIS01 is raised the first Opalis policy starts. When an alert about a idle IIS is raised the “shut down” policy will start. The purpose of this policy is to start a extra IIS, that is already in the web farm. The IIS will then relieve pressure from IIS01 that is running low on resources. This activity gets all running machines from Virtual Machine Manager that is named something with IIS0. I have three IIS, named IIS01, IIS02 and IIS03. The merge step is used to merge multiple treads, we don’t want to run the rest of the policy more the once. If step 4 returns multiple IISs a Junction activity is a good way to terminate parallel treads. One thing to remember here is that the merge step don’t publish any data from activities before it, so that is why we need to read the counter again. The Stop Maintenance Mode policy is used to stop maintenance mode for machines that was shut down by Opalis earlier. This policy check if the affected machine is in maintenance mode, by checking Windows Computer (1), Health Service (2) and Health Service Watcher (4). We use a SQL query to get the agent watcher ID (3). These are the three objects that Opalis puts into maintenance mode when it shuts down a IIS in this example. Another example of Opalis and maintenance mode here. The stop IIS policy will look for an alert in Operations Manager saying a IIS is idle, it will then shut down the IIS. In one version of this policy I added a run command activity that drain the IIS first from active sessions before shutdown. In this scenario and example I used two unit monitors in Operations Manager to trigger on a performance counter, to decide if IIS01 was running low on resource or if another IIS was idle. As the NLB will decide the load equal between my IIS machines I only measure load on IIS01, if I had two IIS online and IIS01 was low on resources IIS02 was that too. In the first policy there should be a thread checking if already all IIS is running, then create a change request saying we need more IIS machines in the web farm. Or trigger another policy to create a new VM, configure it and include it in the web farm. This export file have meet “mr Wolf” so it should not contain any unnecessary settings or objects. You can download my policies here, ZIP file, please note that this is provided “as is” with no warranties at all. Also please read this blog post about export and import of policies. which product will you solve this with? 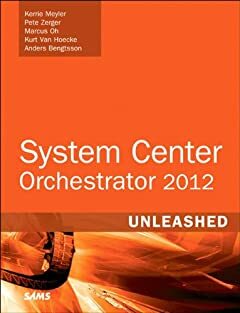 Ops Mgr or Orchestrator? Orchestraotr have a activity named invoke web service that could help you. Operations Manager should be enable to do it too if you specify the exact URL. You will need to target the URL on each server, and not go through the NLB device. I have a question. Want to monitor web urls not using inbuilt website template. as my requirement is to monitor the web urls ( which are .asmx web service ) and are behind the NLB managed IIS nodes. I want to monitor the .asmx pages on each node and check for their availability and content match. Any pointers how to do this. Great stuff Anders. Definitely will share this with others. Nice post Anders! This policy is really useful!! !